Marc H. Ellis is a leading authority on contemporary Judaism and is widely recognized as one of the most influential Jewish thinkers of his generation. 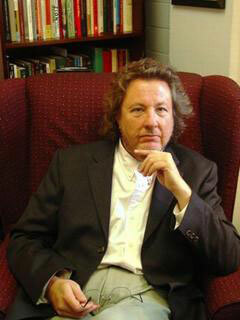 A former professor of American and Jewish studies and the founding director of the Center for Jewish Studies at Baylor University, he is the author of more than twenty books, including Judaism Does Not Equal Israel (The New Press), and has written articles published in the International Herald Tribune, Christian Century, and Ha’aretz. Ellis regularly provides commentary and analysis on NPR and the BBC and has been inducted into the Martin Luther King Jr. Collegium of Scholars at Morehouse College.